The luxurious Lush Real Leather Brushed Stool Black is an elegant design that is set to impress. This chic design combines the highest quality materials, ensuring the Lush is the perfect package that will enhance any modern kitchen or breakfast bar. 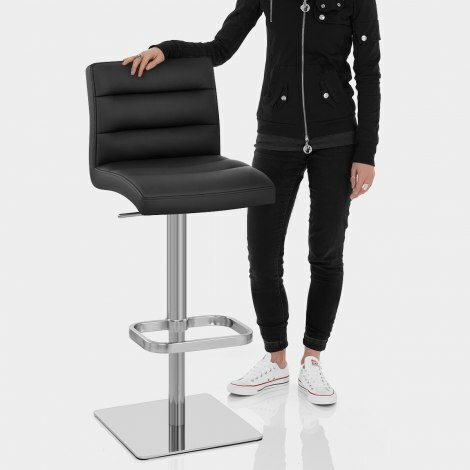 Its comfortably padded seat includes dense foam cushioning for superb comfort, all upholstered in genuine black leather. Stitch detailing segments the seat for added visual impact, exemplifying the padding below and reinforcing the quality look and feel. Weighing in at 18kg for strength and durability, the heavy flat squared base keeps the centre of gravity low for stability. Protective pads beneath help keep floors free from scratches, whilst a gas lift mechanism adds further functionality with variable height and 360 degree swivel. Lastly, the brushed finish steel frame showcases a handcrafted footrest for added support. 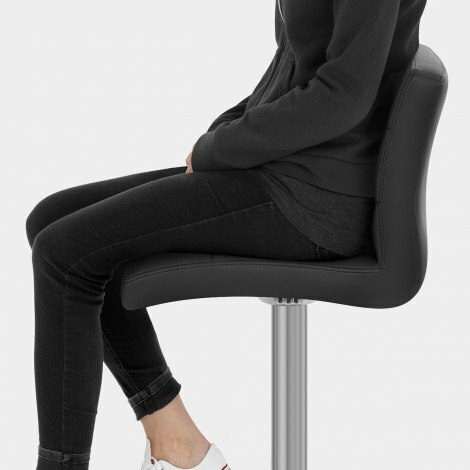 "Stools are of a very high quality"
Worth paying more, had the cheap ones which were okay but these are a different league. After searching all the leather stools, had to plump for the Lush model, not least for it's seat size, as our new kitchen will be used as a day room too. We initially ordered one as a trial as we didn't want to commit to four due to the expense. Delighted to say that the product is superb, and we be ordering another three within the next week in time for the kitchen completion. Excellent service and guidance. Stools are of a very high quality and whilst more expensive than originally proposing to spend, well worth the investment. Great bar stools.Cannot fault them. 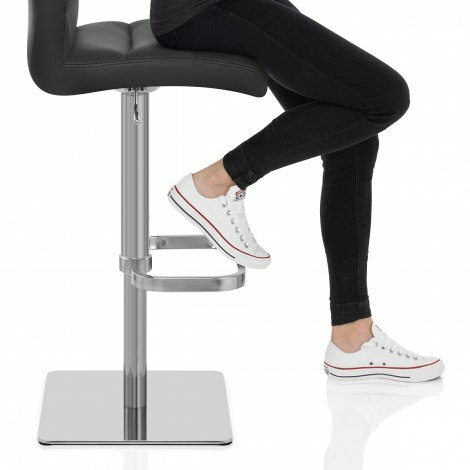 Very satisfied with the bar stools good quality and just what I had been looking for. Atlantic shopping were second to none when it came to delivery and customer service. I would recommend.